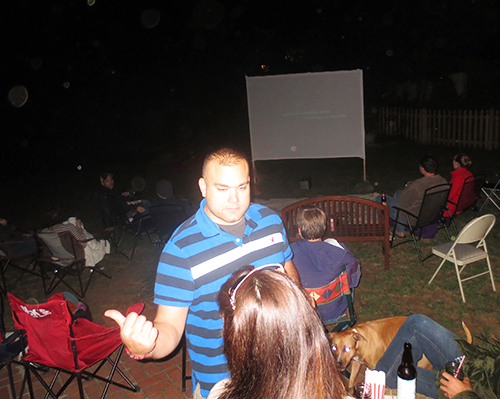 Mark has been wanting to have “movie night” in the back yard for a long time now. 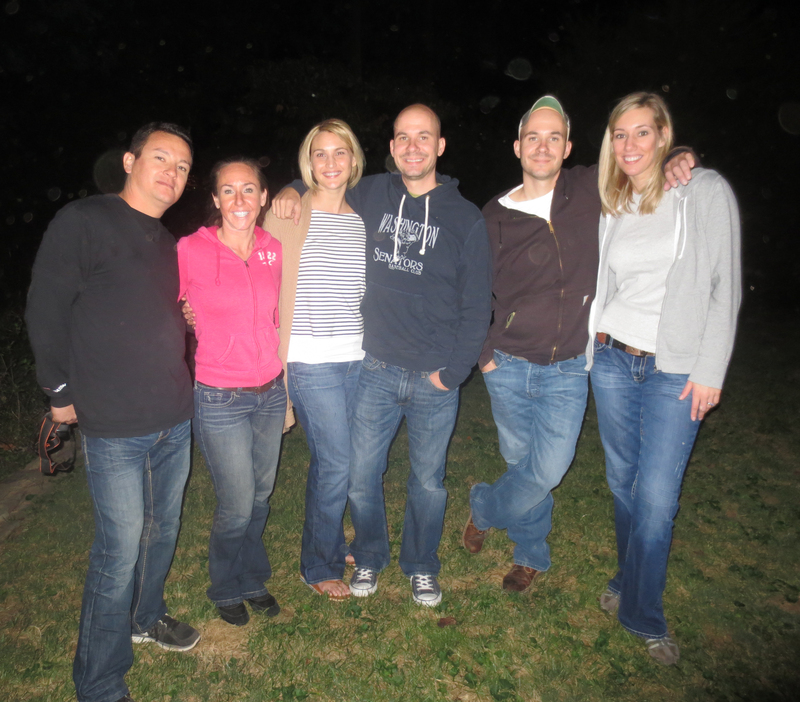 And with his sister and her boyfriend visiting from Hawaii, we decided to have it this past weekend. We sent out e-invites and asked people to vote for their choice of movies from these five selections: Mr. Smith Goes To Washington, Citizen Kane, Sunset Boulevard, The Treasure of the Sierra Madre, and Psycho. In the end Psycho edged out The Treasure of Sierra Madre by a hair. Saturday night felt like fall here with the lows dipping into the 50s. 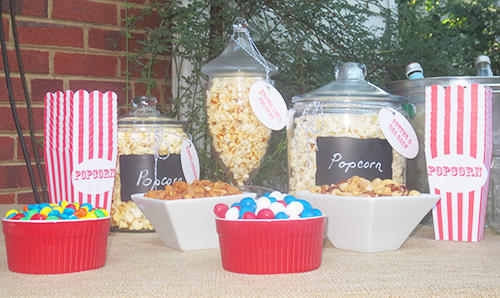 On the menu were The Pioneer Woman’s Whiskey BBQ Sliders, Spicy Chicken Legs, and a popcorn bar with your choice of kettle corn, butter and sea salt, and siracha lime sesame. I also made a large batch of my favorite sangria. 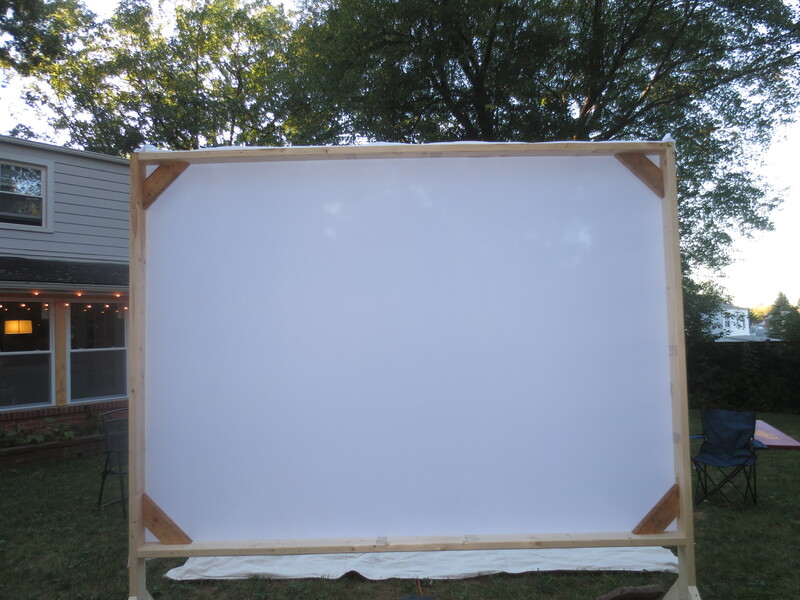 Mark, his brother and his sister’s boyfriend made a movie screen out of a queen size flat sheet and some lumber. As usual, they did a really great job. 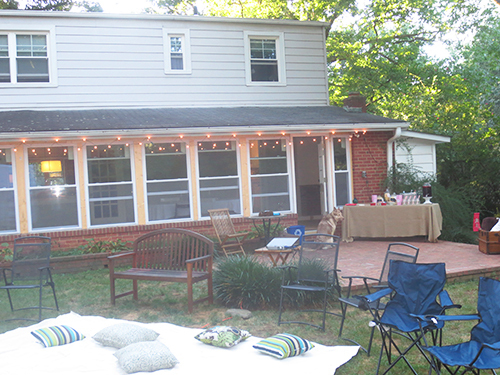 We set up corn hole and invited guests to arrive about an hour before sunset so they could play a game or two and eat before it got dark. 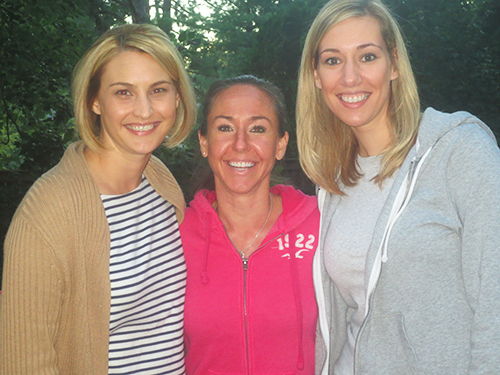 Me with my sisters in law Carrie and Andrea. 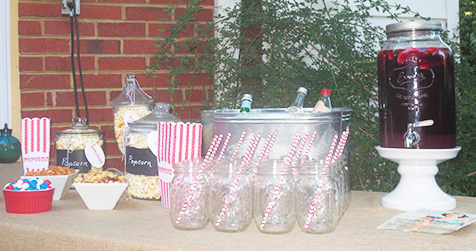 Once it got dark, we brought out some hot cider, desserts, and some movie candy and everyone settled in for the main event. 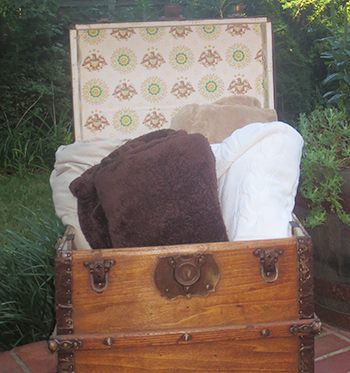 I put a bunch of throw blankets in an old trunk so that people could bundle up if they were cold. Here is everyone getting settled in for the movie. And here is our family. We had such a good time putting this event on. It had a little something for everyone and the weather could not have been better. Also Psycho was a good choice as it’s not very long and very old timey. 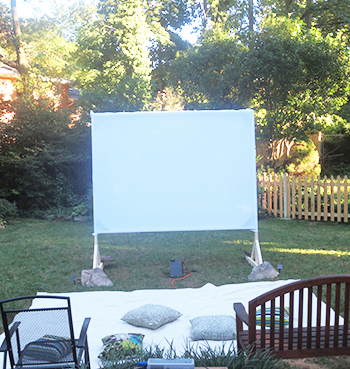 The sheet screen worked great and we will definitely do it again! Our house guests left this morning to go back to the islands so we’re free to start back up on the sun room. 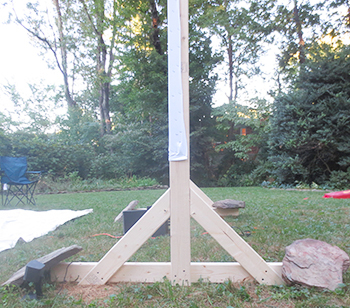 But we’ve got another big project just around the corner. I will be back tomorrow to tell you about it! 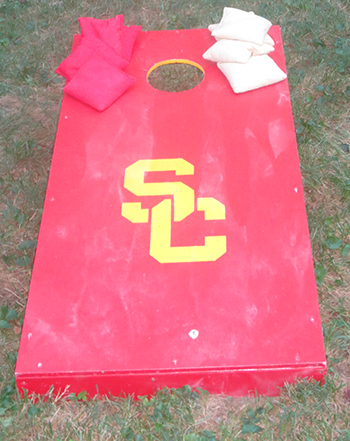 What fun, so cute, and I love the SC corn hole! Fight On! Love all your special touches! Wish we all could have been there! Just loving your blog posts! I am so impressed by you , your family, your friends. I’m following and loving your Blog!